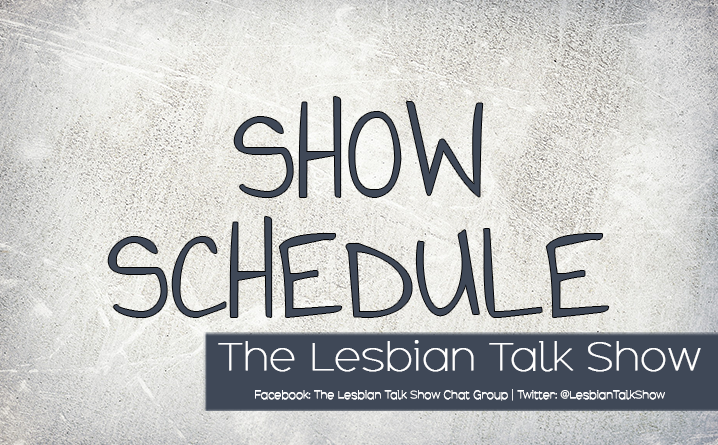 This is The Lesbian Talk Show Schedule page. Please note that sometimes shows go on break, however we endeavor to keep this schedule to the best of our abilities. Make sure you don’t miss out on any of the fantastic podcasts on the channel by subscribing to them on Spotify, iTunes, Podbean and Stitcher. All you need to do is search for The Lesbian Talk Show on any of those and you will find us. Then you hit the subscribe button and all new shows will download to your phone or computer as they are released. This give you great content every day. 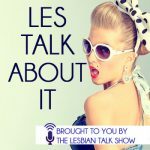 Sheena and Tamara chat about being lesbian and they look at some common myths. Some of the more popular episodes have included Lesbian Bed Death (LBD), multiple orgasms and Are Gold Star Lesbians Really That Shiny? KA Moll and Dana Holmes chat about what it means to be a happy, healthy lesbian. They have serious conversations that range in topic from mental health to books. Some of the more popular episodes have included Anxiety, LGBT rights and Laugh Out Loud And Live Longer. Wednesdays are dedicated to helping you find your next fantastic read. Every week we give you a reading from a lesbian fiction novel. Not only can you get a sense of the book but you can listen while you commute or do other mindless chores. It’s a fantastic new way to find great books. Suzie Carr, motivational speaker, blogger and author discusses motivational topics. Each podcast is a small bit of inspiration to help you live a better life. Natalie Miller-Snell talks to motivational women, gives inspiring stories and encourages listeners to make the most of their lives. Some of the more popular podcast episodes include interviews with Kiki Archer, Julia Lynch and Jacqui Ma. Tara Scott does a monthly book club discussion with guests and chats to authors about their favorite lesbian fiction reads. You can join the Facebook Book Club to also chat about the monthly book club novels. Join Sheena as she chats about lesbian movies, audiobooks and books. With top 10 lists, how to get started and great ideas on where to find the best of the best. Plus you can get to know the team behind the popular review website The Lesbian Review. Heather Rose Jones discusses the stories she comes across of real life lesbians. Often these are from famous cases or court transcripts. 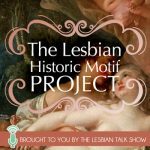 This show gives you some fascinating insights into lesbians throughout history. She also has shows related to books with historic themes, guest interviews and a recap on what is happening on her blog.